Google now become such a tech giant that hardly any device user is not aware of its name and fame. Well, according to a latest report, Google actually goes everywhere with you no matters you have opted out its services or not. The company actually tracks your mobile device and store location data in Google’s Location History. 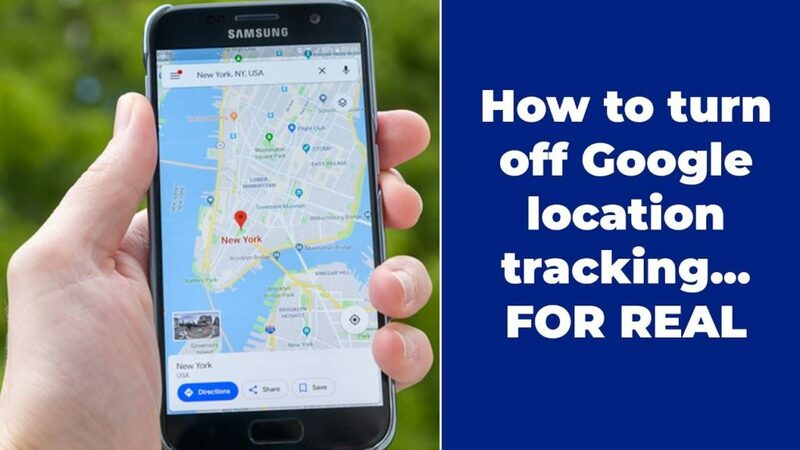 So, if you want not the company tracking you, it’s better to stop Google Tracking Location service for which you would require to learn some steps how to disable this feature on your device. Talking about the technique how Google keeps a keen eye over you, if you keep the location services on, the service by company keeps pinging you constantly to your phone through cell towers and Wi-Fi and even by using GPS to see where you are. Means, the services can almost depict the accurate picture of where you are most of the times since its ping frequency is from seconds to minutes. Well, coming to Google Maps service, through this method, the company is just trackig your every step through where your smartphone is taken and even your activity gets archieved in Google Timeline. This feature was first introduced to world back in 2015, which if kept on over your device then it leave your door to door privacy open. Although all these feature seems helpful in some prospects, it can be harmful as well. But, Google services also allows you to remove your location history and tell Google to quit it or say stop google tracking your location. And if you are unaware of how this can be accomplished then the methods illustrated through this article will easily guide you to do so. In order to stop Google tracking location of yours and your activities, you can simply navigate to myactivity.google.com under your Google account. 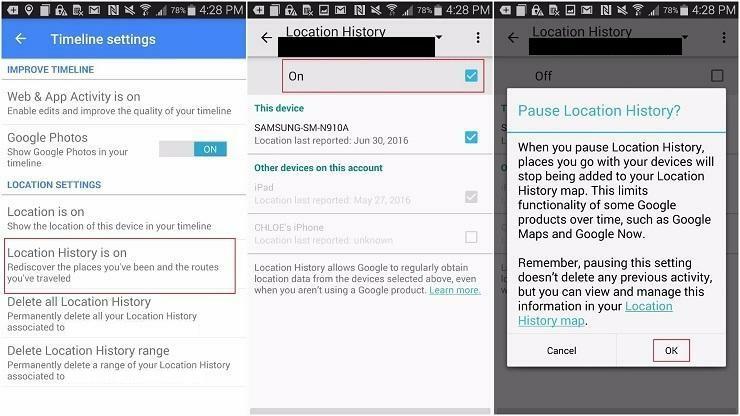 This function will help you to remove all your location history stored with google, regardless of what device you use. So, once you open the aforementioned link, click ‘Activity Controls’ in the left hand side drop down menu. Just toggle off “Web & App Activity” and “Location history” to stop storing your location on your personal account. Well, in case you are using Google Assistant and Google Home services, then turning off this feature can affect your experiences with mentioned two services. Also, if you want to delete your past location that Google has saved till date, you would have to do it manually. Just visit the same location as mentioned earlier and you can find every saved details regarding your activities with your devices, search history, maps directions, and all. Just select the ones which you want to delete and tap on delete option. Scroll down the shown window to find Location Settings. After this, a new Window will pop up on screen with a toggle option either to turn the location history on or off. Since you are required to turn it off, just toggle the switch to off for your specific device or even for all Location history with your associated Google account. Alternatively, you can also stop Google tracking location on android device by navigating to Hamburger icon > Settings > Google Location Settings > Location and turn the toggle off. 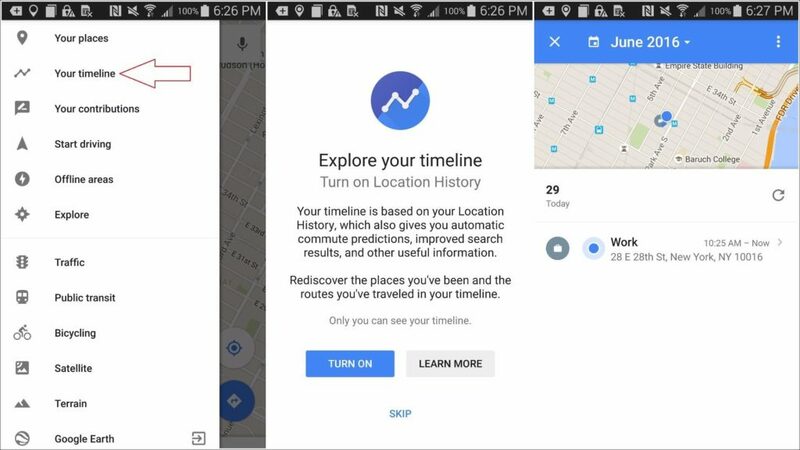 In order to delete all your location data and stored history, scroll the Location Settings down and tab over ‘Delete all Location History’, and a pop up will ask you for your confirmation. Actually, it will warn you about all your data will be deleted. Well, do, make sure this will affect Google apps which uses Location history to work. If you think this is OK for you, just choose the option to delete Location History. However, in case if you want to assure to stop google tracking location for future, you would have to do some tweaks in phone’s settings. Navigate to device’s main settings, and you might find device location settings. From there, you can disable location services for any specific app you want, or just disable the location services for all apps you have on your android phone. While deleting your location history from devices, you can also use your desktop computer to stop Google tracking location of yours. In order to accomplish this task, navigate to Google Maps associated with your personal account. There, navigate to Menu > Timeline, and you might see there the saved places where Google Maps was on with any of your devices. You can delete the stored location by just selecting a day as well by selecting your desired date and clicking the garbage-can icon. Just in case if you desire to remove all your location history from Google Maps, you can navigate to timeline, and select the gear icon available on right side of screen. There, choose “Delete all Location History” and off course a pop up window will appear on screen to warn you regarding deletion of all data. If you are really sure about your act, then Check the box next to “I understand and want to delete all Location History” and then select the option to “Delete Location History” at last. We hope you are now able to stop google tracking location on any of your android or iOS devices as well as through a desktop computer. If you liked the article, do share and Subscribe Us to stay tuned with more tricks in future.